Candida Patients And Low Blood Sugar Issues - YeastInfection.Org by Eric Bakker N.D. 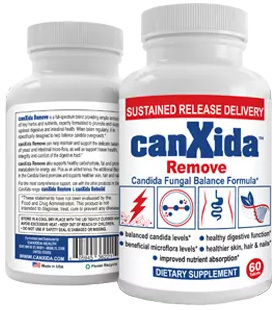 There are several good reasons why candida sufferers would do well to eliminate starches and grains, and in some instances the high carbohydrate vegetables. Most all grains can potentially feed candida because they have a high glycemic (GI) index just like sugar, and like sugar they feed candida and create insulin resistance within the cells. Some candida sufferers eat fruit, and plenty of it, because they have started to react to many different sweet foods which they crave but haven’t figured out that many fruits are equally as bad when it comes to food reactions. Some candida sufferers have very restricted diets but continue to snack on dried fruits with the fallacious belief they are eating a “healthy” snack. Some candida sufferers skip meals or haven’t quite figured out yet that small meals or snacks has a more stabilizing effect on their blood sugar levels, as well as mood and energy control. Other candida patients I have seen – especially those who used to eat plenty of take-out, drink alcohol or Coke every day, love chocolate bars, etc. – have made an abrupt and sudden change in their diet and decided to “go healthy” very suddenly. Some of these patients have ended up in trouble with weakness, fatigue, dizziness, nausea, headaches, and the many other abnormal signs and symptoms associated with abnormal blood sugar control. For these patients I recommend a good dietary supplement (containing chromium, B vitamins, zinc and magnesium) to help them overcome these issues. Their bodies will adapt to the new diet in about a two to three weeks period. This is another reason why I often recommend my patients take things slowly but surely. Going “cold turkey” is not always healthy, especially in the case of food addictions. Sometimes going “warm turkey,” or reducing unhealthy foods slowly over time, can be more effective in the long run. Can I Have Apples on the Candida Diet?